What is a reader audience? Meta-data, search engine optimization, algorithms and key word placement can be overwhelming to a writer. What is it that Authors can do to get their books seen by more eyes? The answer is adding more power to your books! Well, books are not selling like I thought they would BM. It is frustrating to me to continue to write them with lack of sales. I seem like I’m getting nowhere. Remember where it tells you to add 7 keywords that relate to your book on the Amazon book upload page? and continue this process until you have seven keywords or phrases separated by commas. You can also research other categories that your book could be listed in and add them into the keywords separated by commas. This will give you more than the two categories that show up that your book is generally listed in. Try it on just one book and wait a day or so and check the results. You should find out that the book is showing up in more categories and might be in the top 100 paid sales in some of those categories. The real key to doing this successfully is by taking the time to doing great research to achieve the required results. 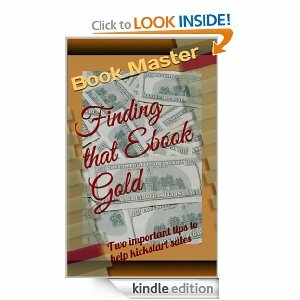 You might have a great reading novel that has limited sales because readers can’t find your book under the multitudes of books on the website. That is your fault because you can correct it to improve your books visibility by doing a one-time process here. Of course, once you see that it works, you might find yourself going in there to tweak the books again to get more and better results. That is seven key word phrases above with loads of power to help people find that book on photography. Much better than Nikon, camera, equipment, tripod, photography, images, photographs. You could research book categories on Amazon and substitute a few of those word phrases with extra categories to get the book into more book categories in Amazon. There is a tremendous opportunity to improve the success of you books if you only take the time to do it properly. Amazon doesn’t have a specific tool to check keywords but it does have an auto-populate tool that enables you to see a drop-down of specific words or phrases. Use it during research to get good results. Just make sure all of this is associated within the contents of your book because you surely wont like your book showing up under a wrong category. Every Author or Writer is different. They have different likes and tastes on just about everything and hardly ever will two of them agree. Strange but true as the world continues to turn. What works for one might not necessarily work for another but usually out of several successful strategies, one of them will work for you. The key is finding which one will work for you to produce the best results. You have to hook them with good bait. That bait is a great reading first book in a series that you give away as a loss leader. That first perma-free book is a loss for you because you had to spend many hours writing it. That first book you make no money on is the one that draws readers into “your world.” They read your free book and they begin to like you. Next thing you know, hundreds like your book. Soon thousands like you and want more books to read but this time they will pay to read your books. That is when you realize that free pays because you are making money. Once you have a series going, then doing the next one is easier because you have a successful system in place and the reader fan base that will automatically chase after it. People in marketing that are trying to create passive income just don’t realize the tremendous opportunities in Indie publishing. After all, it is passive income and as long as you continue to write, publish and repeat, the income is there. Oh, I wish I had the talent to write fiction but I don’t. It is a gift to those that can. I call it that because many just can’t sit and dream these wonderful stories up in their heads and put them on paper for others to read. For those Authors that can produce books so quickly from these thoughts and dreams in their heads, it is indeed a gift from a higher power. Writers worry about what is selling the best to write instead of what they should be writing. Spending your time producing a product that really isn’t what you want to produce will certainly show up in future results. Time can never be recovered so invest your time wisely in producing the kind of books that you actually want to read. Everyone has certain talents for many different things. Just because a book or book series is number one doesn’t mean you need to write a book containing the same subject matter to produce your own acquired results. Write from your own heart and soul. Pour it out on paper or the keyboard. You have to love what you are writing or you will be doomed to failure. This has to be repeated because it is powerful, “Write from your heart and soul.” If you do this, then only good things will happen for you. You think of some of the great Authors from the past and do you honestly believe that they found the way by copying others? No. Writing what you would love to read is also giving readers something different and unique because you are unlike anyone else writing. You have your own way of creating a story so don’t let “doing it to make money” be the reason why you are writing. How many books seem to wander down the same road with the same kinds of characters, plots, endings and more of the same mediocre drama with only a different flavor to it. You might be the one that creates the next best selling book series by being unique and inventive in what you’re writing about and the character(s) you create. Superman was created. So was Dracula. Hunger Games came out of the imagination of a writer. How many vampire or super hero books are on the market today? How many books are being written similar to Hunger Games? How many romance novels are on the market today? Think about these types of things when you are busy researching what you believe would be a great story to write about. Remember, you have to have some sort of outline inside your mind to begin the process. Create a name for your series along with a great story that has never been told to enhance the process of thousands of readers finding you and that new book series. Having a unique pen name or using your real name with a little pizzazz added to it will certainly make you stand out as an Author in the Indie Publishing Market. If I wrote a book series, for the first series this would be the philosophy I would use to gain readers first and then worry about the sales. Treat the first book as a loss leader by giving it away perma-free. Second book in the series would be priced either at .99 cents or 1.99. Any other books that followed in the series would be 2.99, which would be a lot of time involved writing the first two books in the series for little return other than a large following of readers. The great thing about the first series is that after the second book story series was developed, I could make more money faster. Reason why? All those readers following me would most likely automatically jump at the chance to buy the books in the second series as quick as they came out. Two, with the additional perma-free and popularity of the first book series, the second book story series will only increase the fan reader base which will give additional sales. This is what it is all about. Work hard in the beginning to have success in the future. Nothing is gained without some pain. Will Advertising on the Right Channels Help? Sure it will. For a beginning Author, perma-free and using the keyword section written earlier in the article will boost sales from the beginning. Time is your great ally. Buying advertisements is good after you reach a certain point of success to continue attracting new readers who might not know about your books or you. Becoming business wise as well as being a great writing Author are the two most important things in the self-publishing world. Until you master both and use them wisely in what you write and how you market, the chances are lower for success. Sure enough, we all will need more of it in 2014. The question is “Will you work for it?” I have numerous sites that pay you to write articles and those clients on those sites will pay you very well for the time and work required. Sometimes making money from books alone is not enough to keep our heads above water so we all have to find other solutions to maximize additional income opportunities. 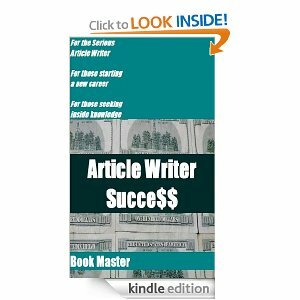 I have a book on Amazon called “Article Writer Success.” In that book, you will find websites and blogs that pay you to write for them. That pay you can make is really good money if you will devote the time to earn it. After all, you are going to have to work somewhere unless you are rich or inherited a fortune from your family. Are you serious about making money? Would you like to pursue a career in freelancing opportunities? Are you one of those people who grow tired of commuting to a job that you hate? There is money to be made and things that you can conquer online in the web universe if you will seriously devote your time to attaining those life long goals you dream about. People can show you the opportunities but it is up to you alone as to whether you really want the kind of life that you might be constantly dreaming about. As of this post, I’m currently working on a second book called “Article Writer Success, Volume 2.” In that book, more websites and blogs will be listed that pay you good money for writing for them. Most of the requirements of these companies are for you to provide identification and payment options on their application process. I do a ton of freelance work as well as write books to publish on Amazon. In fact, I do very well with my career. You can say that I’m one of those people who took the initiative to make a living branching out on my own! The biggest thing about what I do today is that if you seriously take those same steps, you can achieve the same goals and make a good living also. If you are a decent writer and seriously devote the time needed to freelancing, you can make money online. All of the websites on the web need information to fill their pages on websites and blogs. If you will perform the required tasks that the ones seeking writers ask for, you can make some great money for the work involved. Also, I included here some additional sites that you can check out that might be of interest to you below. I hope that some of you out there find an interest in freelancing from this article I posted on the site here. This is a 500 word plus article so you see how easy that it really can be? That is only just a few above but to give you that general idea just what I’m explaining to you. 2014 has just begun so take advantage of opportunities that present themselves to you during this New Year. Good Luck out there on the journey! By far one of the toughest challenges anyone will ever take on in life as a career is the self-publishing lifestyle. If you’re one of those recently starting out on the journey then you have already experienced just how hard it can be to write and market those books at the same time. In the first part of this series, we explored just a small taste of what it is like to pursue this type of career. In this second installment, I’ll give you some inside information to shorten those headaches you probably develop from banging your head against the wall trying to find what works the easiest. Well my friends, there are few easy solutions to what will work for you to sell thousands of books month after month. Your greatest ally is time. Yes time, because you have more of it than any other resource. What do you do with it? Do you waste yours? Do you invest it in learning? Do you just use all your time writing? Those are great questions to answer for yourself and surely, you can think of some more to ask yourself. If you are looking for ways to market books after you published them, then follow some of the steps listed here. Get you an author website going right away. Add a sign-up form on your landing page to gain an e-mail list of followers so you can reach out to them easier with a newsletter or a new book release. You might not convince everyone to sign but gradually the list will grow. Many refuse to put all their apples into one cart, with that being going solo with Amazon. I don’t care what anyone else might think. A new Author needs to learn and grow! That being spoken, Amazon has the best platform with the tools and goodies to help. There is too much to overwhelm a new Author trying to self publish on other platforms so that is why I personally recommend Amazon alone. Over time, you can always move books to other self-publishing outlets or publish new ones over the various others. I guarantee you that the bulk of your sales will come from Amazon. Another thing that will help you is to keep track of everything that you do with each book. Make you a chart sheet to record the Title, blurb information, publish date, etc. Include on this chart, all the sites that your book is listed online. You see, if you have a handy little chart like this on each book, it makes it much easier to reference all the information on that book in nanoseconds. This is great for when you need it in a spur of the moment to post the information on a site for a free book promo or to publish through a paid ad. It keeps you from having to open several sites at once trying to gather the information. Seek out all the places or sites that readers are going to in search of what your book is about. That means you are looking for that reader audience where they congregate. If your book is a fiction novel, you want to scour the universal web for those readers in hopes of grabbing attention on your book. If it is a non-fiction book about cooking with recipes, you will be looking for those readers at websites about food preparation, cooking cuisine, etc. On the Internet, the sky is the limit because the web is never-ending. You might find many opportunities to guest blog a post on a site once you randomly begin to seek out those marketing venues for your books. Most everyone that has a decent size following on their sites offer guest blogging to Authors in the hope that it helps bring more visitors to their websites. 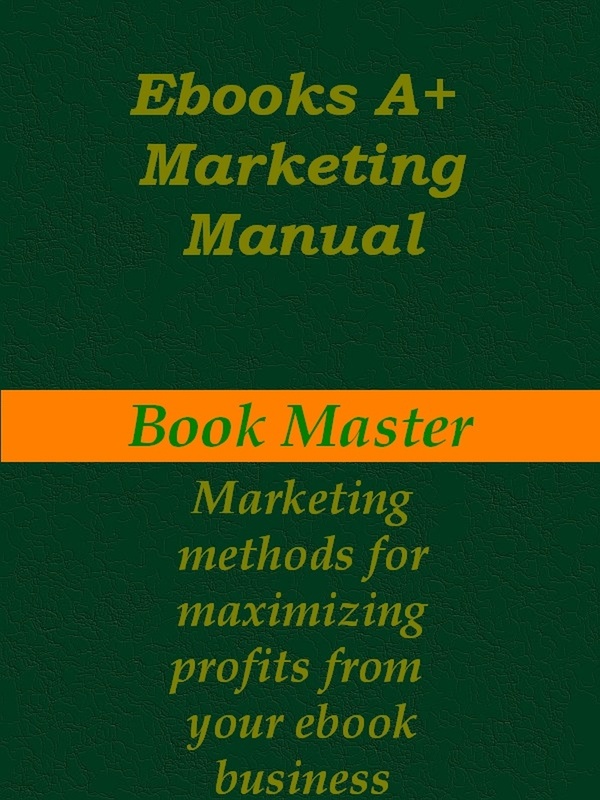 Try to spend at least one hour each day marketing your books in some shape, way or form. You might spend it one day commenting on a few sites. The next day you could spend it on social media. The following day you could spend it on Author or book forums commenting on posts. These little things help establish you as an Author. 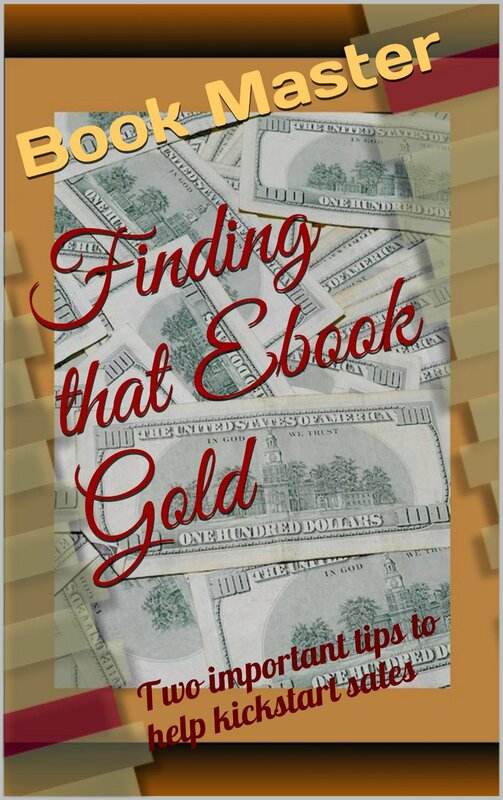 Bookbuzzr is a great place to use to gain additional exposure for your books. Nifty tools there to help you get sales on your books. For a small monthly fee of a few bucks, you have an arsenal at your fingertips to help you in your marketing tactics. It has already been mentioned in past post on my site about offering a new book free and the sites are there written on a post if you will do your research. Doing a little preplanning before a free promotion can net you a lot of free downloads of your book. Many sites request advanced noticed before posting your free promo. The negative side of the free promotion is the possibility of getting one star reviews but if you are so fearful of reviews, why bother to publish? At one time, the free promotion could net an Author with many sales. That isn’t the case now but still many new Authors are finding decent sales after a free promo run on a new book. Using all social media outlets will help you market your name, brand and those books that you write. Use them all, from twitter to Tumblr, from linkedin to pin-it, from your website to other websites. There are so many opportunities out there now to use media to get the word out about you and your books and by not taking advantage of it all is just like throwing it away. A remarkable opportunity is a book series. It is the hot item going today to make an unknown into a well known. The secret? Making the first book in the series perma-free. I don’t know how long this marketing strategy will continue to succeed as many more Authors are finding it the key that unlocks the door to their success. Alright, We covered a lot here. So, what is Social media? Goodreads, Twitter, facebook, google+, yahoo, linkedin, tumblr, etc. Next we have Content media, which is? They are Press releases, articles, guest posts, book bloggers, etc. Those two, Social and Content go directly hand in hand with your website. That website is your Author Platform base. You are gaining an email list of followers to your site as an addition through hits. Your website is the foundation or house that supports everything else that you do. Now then, we are finally getting somewhere on what it takes to sell books. I’ll continue this series later so look forward to it. All of my books are listed on Amazon and my site. You have to market every way possible. Have a nice weekend! Writing books, and marketing can take up huge amounts of time. Most that take on the challenge of Indie Self-Publishing never realize what is involved in the process. I was talking to someone the other day. They agreed that it can be one of the toughest jobs on the planet. They also told me that once you become established by building your brand that the opportunities are endless. I tend to agree with them on that. Last year, I published nine books under my name. I have another one to publish shortly. 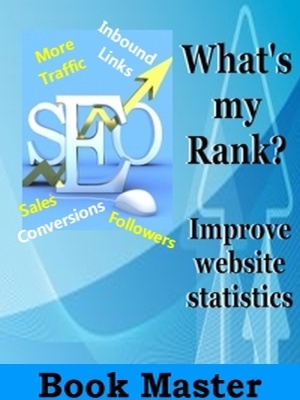 Here is the cover and title for my latest book on Search Engine Optimization. Here are the covers for the others below. There is one thing that you have to have in this business, and that is plenty of drive to continue the process. Some of you have heard it before, “Rinse and Repeat.” My goal for this year is to publish at least 20 books which would double my output in 2013. My time was limited during the past year due to a variety of issues. This year, nothing stands in the way of completing that goal. Many feel overwhelmed once they get into Self-Publishing, but if they take the time to learn as they continue to write the process becomes easier. The great thing about it is that once you have a back-list to continue to build on, it makes you more reputable to others. As this New Year continues to unfold, More books will be added to my back-list. Maybe by the time July rolls around, I can take a needed two week break from it all to rest on vacation. That remains to be seen as I’m always focused on the goals that I set for myself. To be able to be given this opportunity to self publish by a great company like Amazon is a dream that I cherish each day. The purpose in this thread post is to give hope to others that might not feel as though they are doing well in this business. I’m here to tell you that it takes time and commitment in order to succeed. Keep pushing forward while learning all that you can about Self-Publishing. You just might find that that ship you’re sailing on isn’t going to sink with you on-board after all. This new book should be available this week. Loaded to bear with great marketing information on publishing. 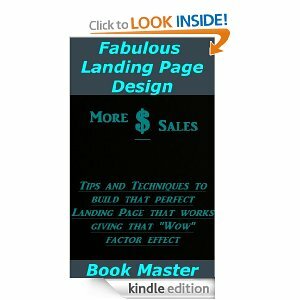 Inside this book, “Fabulous Landing Page Design,” you’ll find useful information on how to create a great squeeze page and tips on how to improve website design to turn visitors into customers. 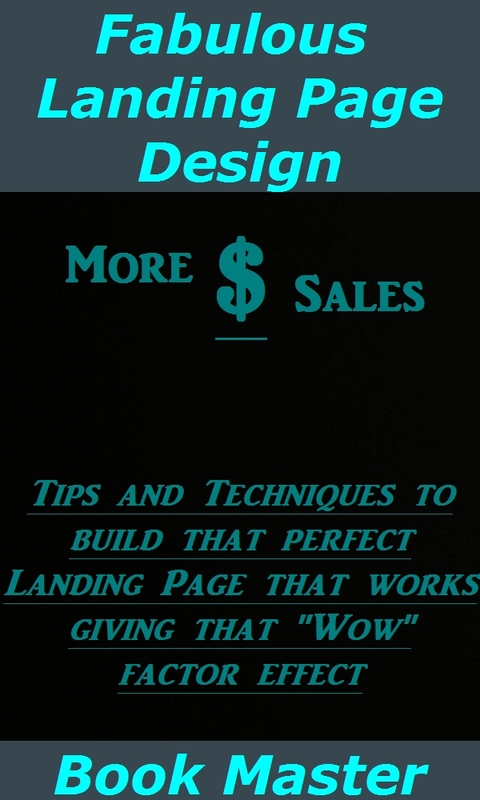 You will learn what you need in creating a landing page that is attractive, sharp and interesting to visitors that land on your website(s). Some helpful advice on web speed and ways to improve it plus information you need to include on your landing page. Easy to understand, easy to use and helpful information at your fingertips that works and tested in the Web Wide World! Learn what works to make your Squeeze Page the best to convert visitors into customers. This is the “All in One” Book that you’re looking for at a great price! This guide contains everything you need to do those free promotions. 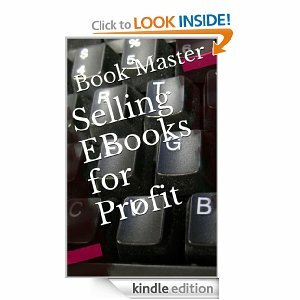 It has all the top websites, and Facebook links to add your free eBook promotion during the free days. It has a listing of all the hash-tags to tweet during your promotion. 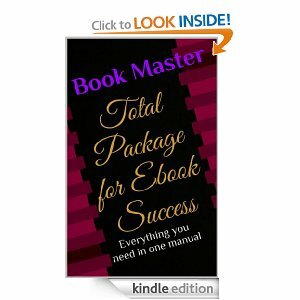 It contains valuable tips on formatting your eBook and includes Powerful Keywords, Power-words, Keyword phrase combinations to add to your sales page and other information on your eBooks. The final section of this valuable resource gives you important information on things you need to be doing to propel you forward in front of those eyes all over the World that want to read your work, but don’t know you even exist.If you think you discovered everything about promotion, you just might want to give it another thought. 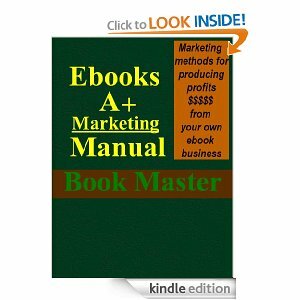 Its all here in an easy to read, and easy to understand eBook Manual designed for you to make money from publishing those books! Its money well spent! You will find two secrets that will propel you forward quickly in front of readers everywhere inside. Do you know who you’re targeting with your eBook? Learn this valuable information and save yourself some leg-work to find more time to write and less time worrying with promoting. 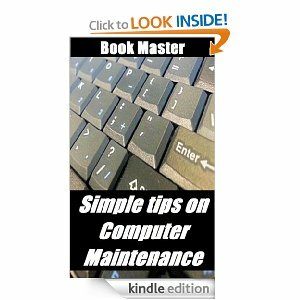 Inside tips on formatting details to make your book its very best. Short, sweet and to the point! 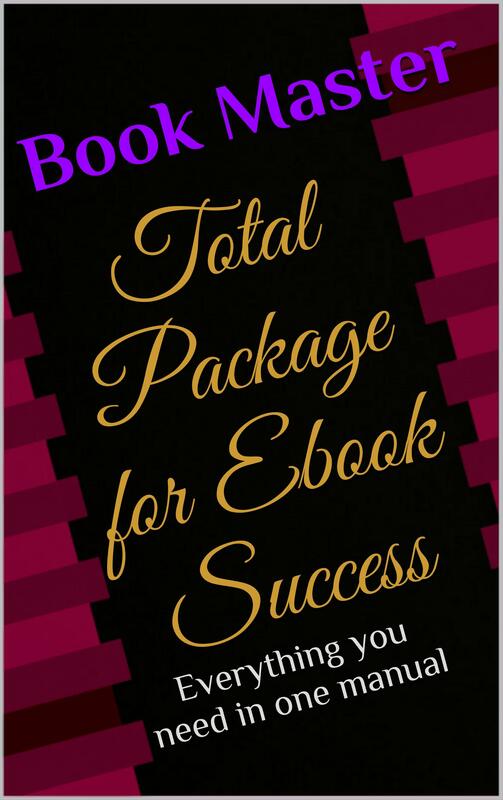 This little power packed informational book will give you the jump on that next ebook promotion. With this little book, you will have most of what you need at your fingertips without having to spend valuable time searching for it throughout the Internet on your computer. 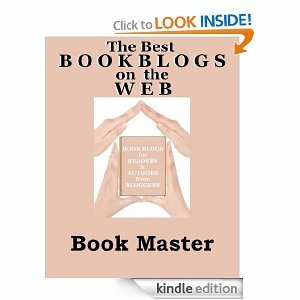 Valuable websites listed for your next eBook(s) promotion. Facebook pages to drop a link on about your eBook(s) promotion. Valuable hash-tags you can use to do a tweet party on your promotion days. Its all listed here in this little book to help you succeed when the moment counts. Tips on what to write about and power words to use in your eBooks. Quick tips on formatting and a link to help if you need it. When you’re selling anything on the Web, you want to be sure that the proper Power Words and Key Words are being used in your promotional technique. The key to sales is through attracting potential customers to your sales campaign or product, be it an e-book, new website, services or any other products. 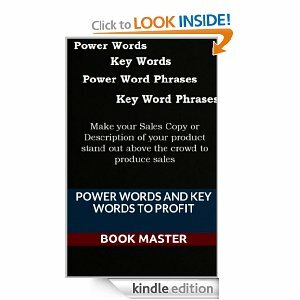 Proper Power Word Phrasing and Key Word Tagging is huge in getting those sales. In this little booklet, you will learn what to do to make the most out of getting sales!